Then on Saturday the main event will begin and the schedule is loaded with 8 tracks and 40 presentations! In this session, we will discuss the changes that are coming and the new features that are provided with the Power BI Designer as Microsoft continues its roadmap with self-service BI. 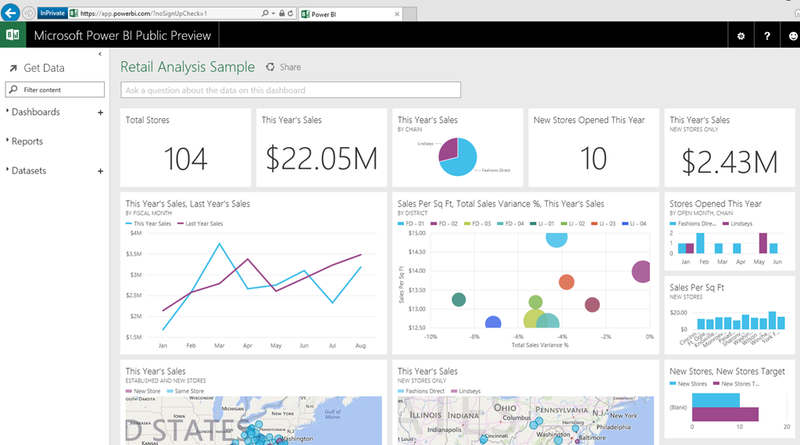 If you haven’t seen this yet, Power BI features are now available in a standalone application outside of Excel! You will see with the new designer that you will be able to easily integrate data, create stunning and interactive visualizations, and even create cloud based Power BI dashboards to share and it is even Free!! Mastering queries into XML data. If you’ve never queried an XML column you definitely want to attend. While targeted to beginners this isn’t a "Just do this" session. After this hour I’d like you to truly understand even subtle nuances of basic query syntax. Seasoned veterans stand a fair chance of learning something new. So what are you waiting for, head over to the event site and checkout what is going on and follow the hashtag #sqlsatMadison – SQLSaturday Madison #387 event home. In the first post, Getting Started with Power BI Preview, I discussed briefly the “new” Power BI and went over how to get access to this service. Now that you have access I want to go over the layout of the land and show the different items you have access to on the Power BI Preview site. 1. 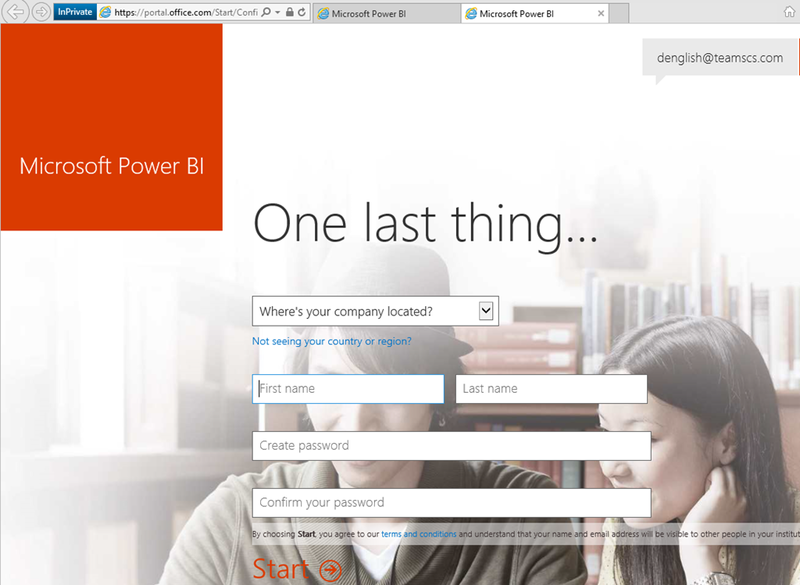 Microsoft Power BI Public Preview – this is your landing / home page. If you access other areas such as getting data, reports, datasets, etc. you can click on the top right to return to the home page to view your currently selected dashboard. 2. Get Data – using the Power BI Preview web site interface this is the area where you will be able to bring in your data to create datasets, reports, and eventually dashboards. In the next post of this series we will explore this area in more detail. 3. Content Pane – you have the ability to search and filter the existing content you have available in the datasets, reports, and dashboards. These areas expand and collapse and the plus sign next to the datasets will send you to Get Data and the one next to Dashboards will allow you to create a new dashboard. Once you create a new dashboard you can then get data, create reports, and pin items to it. 4. Dashboard Title & Share – the current dashboard title you are viewing and a link that allows to to invite others to view as well as possibly share your dashboard you have created along with the data. 5. Q&A – this is the natural query language capability, the same one that is provided in the current Power BI in Office 365. You have the ability to ask questions of your data just like asking questions on Bing or Google to get results. 6. Dashboard content – this is the content that has been selected from the reports that were developed on the dataset as well as results possibly from Q&A that have been pinned. These items (tiles) can be resized and rearranged once they have been pinned. This reminds me of the Windows 8 and Windows Phone start screen – live tiles. 7. Support, Help, and Feedback menu – just grouping these last remaining items together that are in the top-right. The first icon which looks like the typical settings / configuration icon we are used to is actually the download area and will provide access to the Power BI for iOS app, Power BI Designer Preview, and the Analysis Services Connector Preview. The second icon is the Support / Help icon which gives you access to Getting Started material, Contact Support (email the team), What Should We Build Next (forum and voting area), Help Topics, Power BI for Developers (yes there is a developer area and API information), About Power BI (version number information). The third icon is simply the feedback one to rate and let the team know what you think of the Power BI Preview. The final icon is your account and provides option to sign out. Next up, we will go over creating your first dashboard, dataset, and reports. Stay tuned for more! This 5 part blog (3rd part was broken out into 3 separate parts) series on Data Security was written by Senior BI Consultant and colleague Rick Bielawski from my BI team. I wanted to share the series and hope you find it interesting and make you think when it comes to the data that you work with and are in responsible for. This blog is the first in a three-part series describing how to properly assess your data security needs. Like buying any insurance, there is no reason to pay for protection you don’t need. Yet, your business can’t afford to leave significant risk on the table. To get all (and only) useful protection, you must become your own actuary, quantifying and prioritizing potential losses and then developing a plan to mitigate loss cost effectively. In this series, part one covers sources of risk. Part two gives you an idea of the significant number of attack vectors possible. Part three talks about the mindset needed to design proper protections and how to look at the extent to which various protection types mitigate various risks. I hope you find the information useful. 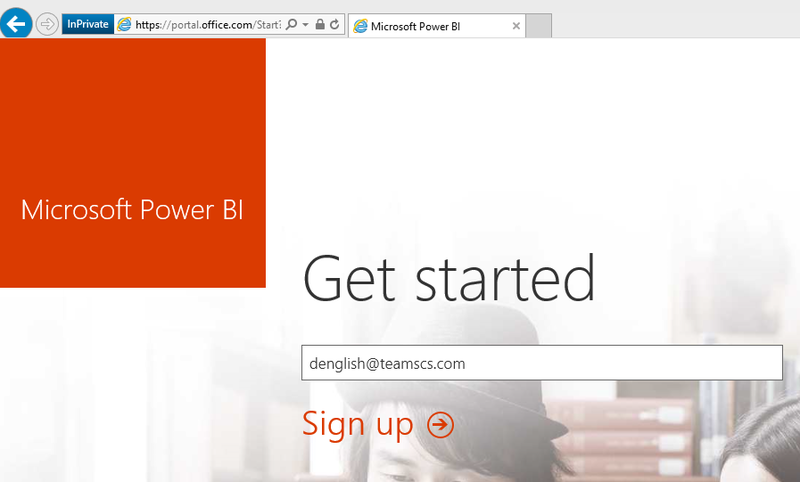 Last year Microsoft began working on a “new” Power BI version / capability. This was released to a limited group of users for feedback and then last December was released within the U.S. and I posted this first post – Installing Power BI Designer Preview Experience. Now this past week it is available in over 140 countries – Power BI Preview now available worldwide. So what it so special about this new experience? 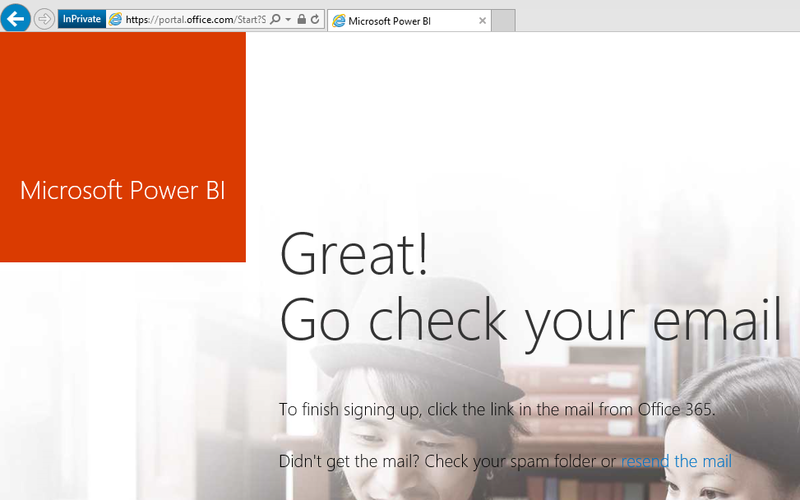 Well first of all to get started using Power BI you no longer need to use Excel. Excel has been the main driver of Power BI capabilities and the container where data and reports would be created to then share with others through SharePoint and/or Power BI in Office 365. Now the data can be collected using either the new Power BI Designer or directly through the new browser based Power BI preview experience. The next item that makes this interesting / attractive is the price. Yes, how much does this end up costing you? Well to get started all you need is to create an account and the rest is actually free. Yes, that is correct, free. Of course the “Free” version does come with some limitations, but for the most part you have the same capabilities as the version that is the paid Pro service of $9.99 user/month. And that is price cut from the previous Power BI online experience of $40/month. Here is more information about the new pricing and feature comparison between the Free and Pro paid versions – Power BI Preview Pricing. 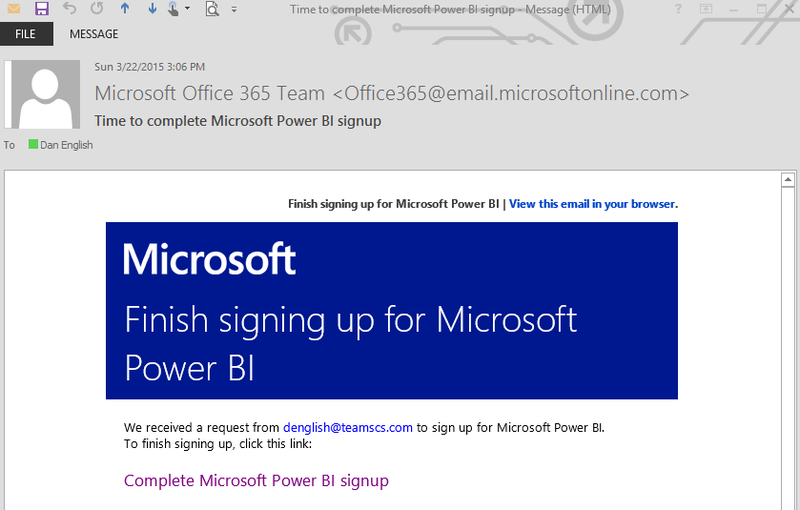 Now in my case this is actually a personal Microsoft account and not provided by my organization, I am simply using my work email for my Microsoft account. I will now switch over and login with my organization provided email, I just wanted to show what the process would look like to get started with the process. That is all it takes, so in less than 15 minutes or so you can be logged in and ready to roll. Next up, we will go over a quick tour of the layout of the site. Stay tuned!